Cinque Terre, along with Portovenere and the three islands of Palmaria, Tino and Tinetto off the coast were declared a UNESCO World Heritage Site in 1997, chosen for being an example of a place of great beauty and cultural value, where the hand of man has transformed the environment but not altered the beauty of the landscape. The five colourful villages that make up Cinque Terre are nestled amongst the rocky coastline and surrounded by ancient vineyards. The villages themselves date back to medieval times and are mostly pedestrian only in their old towns. It is possible to drive between them but the most popular ways to see the villages are on the train, boat trips, and walking on tracks along the cliffs between them. When you’re deciding what to do in Cinque Terre you can be as active as you like, or simply soak up the atmosphere and beauty of these beautiful places. Given the small size of the villages they can get very busy in the height of the summer season in Europe, so it’s best to try and visit in the shoulder seasons from April/May and September/October. 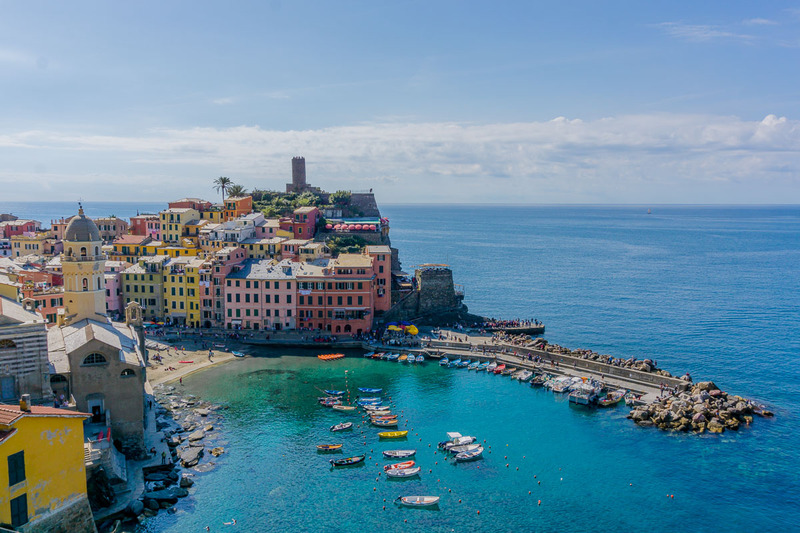 It’s easy to train in from nearby towns like La Spezia or Levanto so you can choose to stay in any number of places close by and still see the best of Cinque Terre throughout the day. 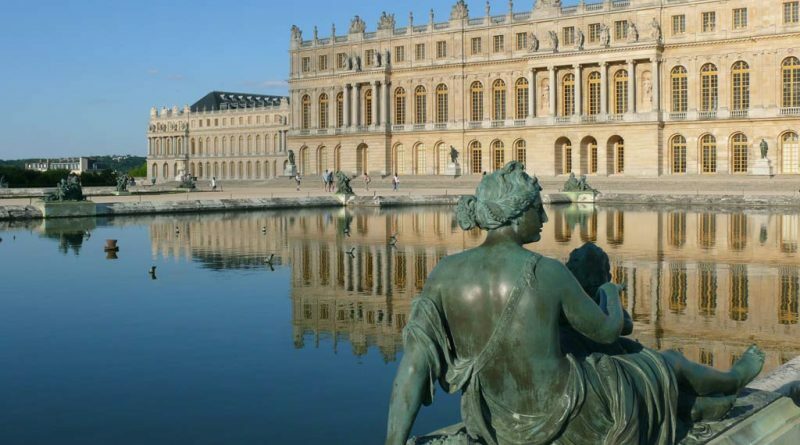 Versailles, Louis XIV’s home and seat of the royal power until the French Revolution, is one of the most beautiful palaces in the world so a day trip from Paris to Versailles is easily on the top of many people’s wish list. Versailles Palace and Gardens are listed in the Unesco World Heritage List since 1979, both for their historical importance and their beauty. Versailles was built by King Louis XIII as a hunting lodge and a place. It was King Louis XIV, his son, who decided to quit the Louvre Palace and move with his family and royal court to Versailles. Together with the best architects of that time, the king transformed what was once a modest lodge into one of the jewels of French Architecture. 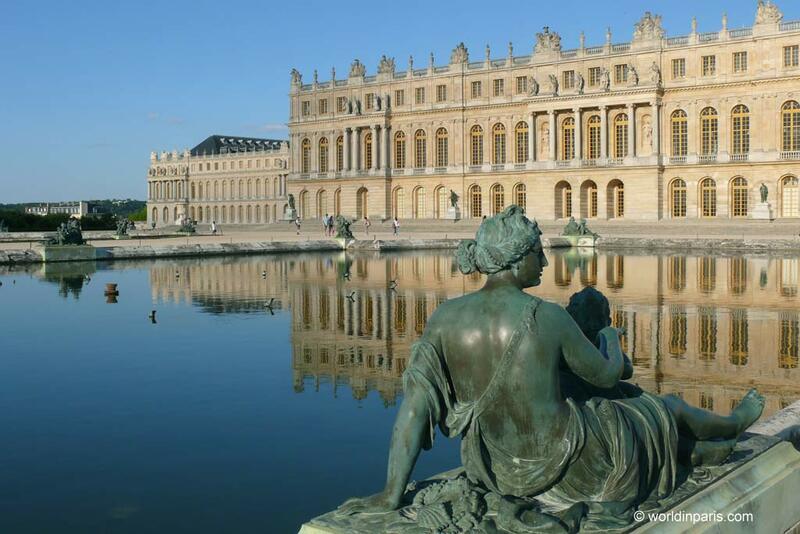 Versailles is a huge domain, which includes the Grand Canal, vast gardens with beautiful fountains, and water games. Also, inside the royal domain, there are beautiful secondary constructions such as Le Petit Trianon or the Rustic Hamlet so we recommend dedicating a full day to visit it. Versailles Palace is one of the most visited places in Paris, only after the Eiffel Tower, and the most visited palace in the world so we recommend planning your visit in advance. Cologne Cathedral, or the Kölner Dom, is a magnificent Gothic Cathedral standing along the rhine river in Cologne Germany, that has been a Unesco World Heritage Site since 1996. The Cathedral is neither the largest, nor the oldest, religious structure in Europe, yet it is remarkable in many ways. Begun in 1248, building the Cathedral took over 600 years, being completed in 1880. Through the centuries of differing church leaders and political influences, builders remained true to the original plans. The final masterpiece is what was originally conceived. Were the planners present, it is likely they would smile with satisfaction to see the Cathedral had come to fruition as they had imagined. The Cathedral is quite stunning, and holds a number of treasures, the most notable being the Shrine of the Three Kings. It is said that the shrine holds the remains of the Magi, captured by Emperor Barbarossa in the conquest of Milan in 1164. The shrine is ornate, formed of bronze and silver, gilded and highly ornamented. 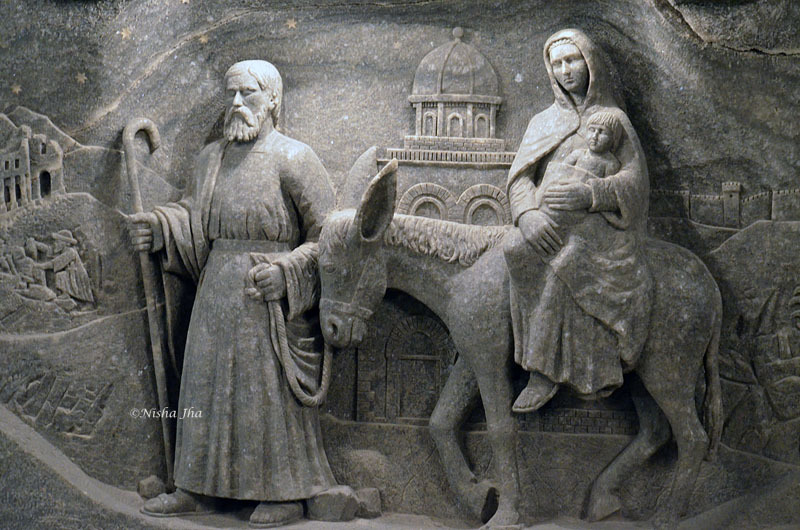 Other treasures in the common areas are the wooden Gero Cross was carved in 976, and the Milan Madonna was carved in the 13th century. 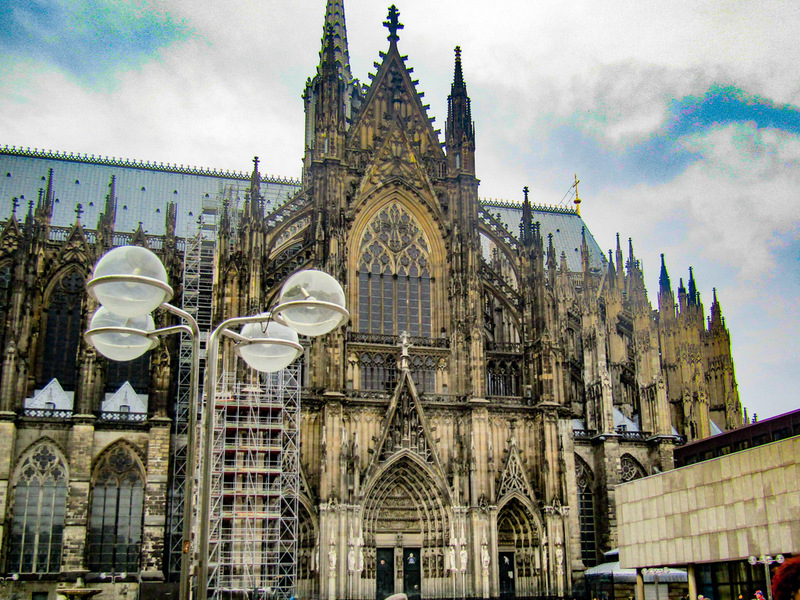 Getting to Cologne Cathedral is easy, as it stands immediately next to the Hauptbahnhof, or central train station, in Cologne. It’s also a great day trip from Dusseldorf. The Cathedral still holds regular services, so on Sundays and holidays it is only open from 1 to 4:30. Through the week it opens at 6 in the morning, with the south tower opening at 9 and the treasury opening at 10. It is Germany’s most visited landmark, sometimes seeing 20,000 visitors a day, so being very early is best. Be respectful that it is a religious house. Wear properly conservative clothing and remove hats. Large bags are not allowed inside for security reasons. Also, if you hope to climb the south tower, be mindful that there are 533 steps, so wear comfortable shoes. Croatia is full of incredible history and beautiful sites – but often the smallest ones can be the hidden gems that are well worth a visit! 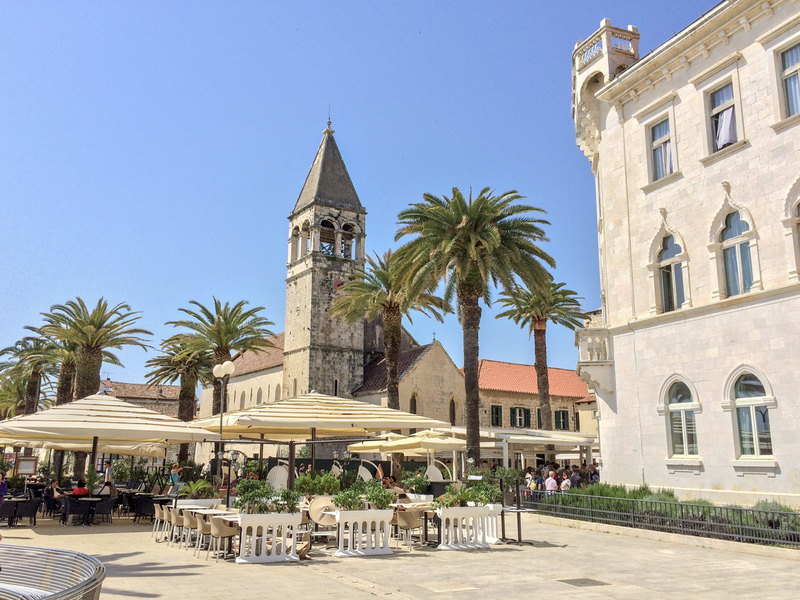 If you’re near Split, consider a day trip or spending a night in Trogir. This seaside town serves as a crossroads for some national parks, as well as a base for exploring the famed Dalmatian Coast. Trogir is a larger town with a historic old town on an island – wedged between the mainland and Čiovo Island. First founded by the Greeks in the 3rd century BC, the town developed into a port city and then flourished under Venetian rule for over 400 years. Trogir’s Old Town was listed as a UNESCO Site in 1997 because it is the best-preserved example of Romanesque-Gothic architecture in all of Central Europe. Its high concentration of churches, buildings, and a fortress all within a compact area of city walls is what draws visitors in year after year. The Church of St. Lawrence and the Fortress Kamerlengo are two of the most notable attractions in the old town. The best time to visit Trogir would be in the shoulder seasons from April to June and then in the fall from September to late October. This way, you can avoid the summertime crowds (which are plentiful!). After a walkabout or a guided walking tour, it’s best to relax on one of the many patios for a drink, some fresh seafood, or a sweet treat! To get to Trogir, you can drive from Split through the Kastela and past Split Airport until you reach the town. Any major Croatia road trip up the coast will take you right through! Alternatively, the #37 bus runs the same route from the local bus stop in Split – all you have to do is ride the bus to the end and you’ll arrive in Trogir! There are many reasons for which Romania should be on your bucket list. Starting with its incredible landscape and all the way to its friendly people and delicious food. 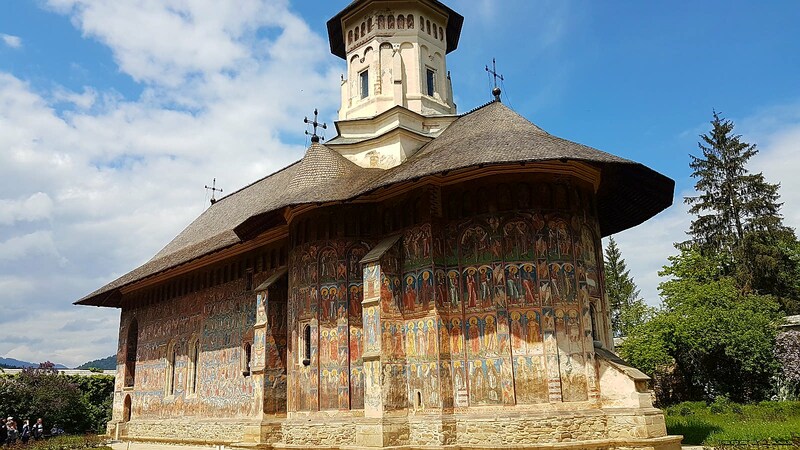 However, if you do decide to visit Romania, make sure to also include on your itinerary the painted churches in northern Moldavia. These are eight beautiful churches built between the 15th and the 16th century, and all of them have been included on the UNESCO World Heritage List. The churches are Arbore, Humor, Moldovița, Pătrăuți, Probota, Suceava, Voroneț, and Sucevița, and they are all located in the Suceava county. What makes these churches, so unique and worth visiting are their exterior frescoes and paintings inspired by the Byzantine art and depicting religious themes. And imagine that these paintings have lived to tell their stories, as they are exceptionally well preserved and still awe their visitors. The most famous monastery is Voroneț, which has gained its reputation thanks to a distinctive color used for its frescoes, a distinctive blue that even received the title of Voroneț Blue. It is often referred to as the Jewel of Bucovina and was built by Stephen the Great, one of Romania’s heroes, and its paintings were executed during the reign of its son, Petru Rareș. If you plan to visit the churches, there are some things to take into consideration. 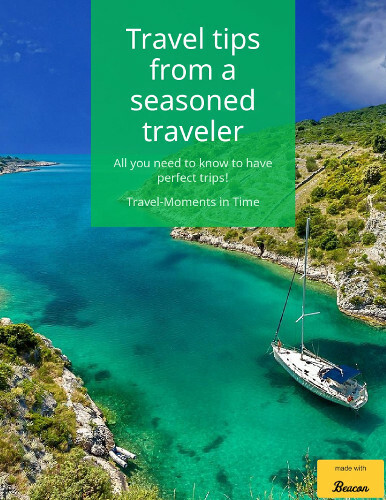 Firstly, you can visit during any season, summer being the most crowded one. Winter is a good option as the white snow contrasts the colors of the frescoes, but at the same time, it might be more challenging to get there. The churches are at a reasonable distance from Suceava, where you can get either by plane or a long train ride. You could visit the churches as part of a one-day tour from Suceava, but it will surely be a rushed tour. If you can spare some extra days, you will be able to include more stops on your trip and also absorb more of the local culture. The best way to see them is by either renting a car from Suceava or joining a tour. The churches are open every day from 9 am until 6:30 pm and some of them ask for an admission fee of around 1 EURO (5 Romanian Lei). The Heart of Neolithic Orkney in Scotland is a small area on Mainland Orkney which is home to a number of significant historical monuments and archaeological sites of great importance. The prehistoric people of the Orkney Islands began building extraordinary structures out of stone and what remains gives us an insight in to their society, skills and spiritual beliefs. 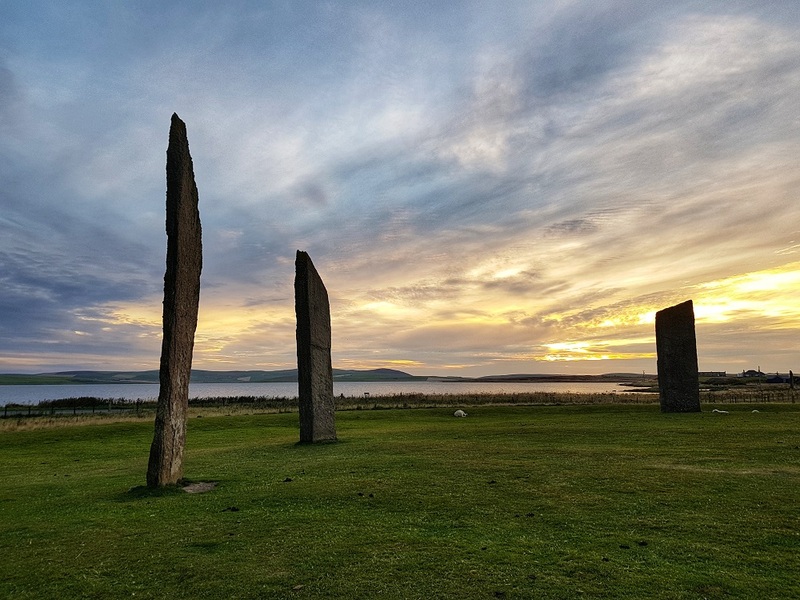 The four main monuments which make up the UNESCO site are the chambered tomb at Maeshowe, the ceremonial stone circles at the Ring of Brodgar and the Stones of Stenness, along with the settlement of Skara Brae. These monuments are considered to be among the most important Neolithic sites in Western Europe, attracting visitors from all over the world, which means they are inevitably busy during peak tourist season in the summer months. Here is my advice if you plan on exploring this fascinating part of Scotland. Firstly, visiting the 5000 year old Maeshowe is by guided tour only and tickets should be purchased in advance from the Historic Scotland website as early as possible to guarantee your preferred date and time. The nearby settlement at Skara Brae also dates back 5000 years making it older than the Egyptian Pyramids and it can be explored at your leisure during opening hours. Again tickets are available from the Historic Scotland website or at the visitor centre which also has a good cafe and gift shop. If possible try and avoid the days that cruise ships are visiting Orkney as it can get very busy. Both the Stones of Stenness and Ring of Brodgar stone circles are free to visit at any time. It is best to get there early in the morning or later in the evening if you want to increase the chances of having the atmospheric stones all to yourself. Both are also good spots to visit at sunset and during certain times of the year there are free tours at each site which you can just turn up for on the day as no booking is required. All of the sites are very close to each other and it is easy to visit all four in one day by bus or car. Lake Oeschinen is one of those world destinations everyone should experience at least once in their lifetime. Located in Switzerland’s stunning Bernese Oberland, famous for its absolutely breathtaking landscapes (the Swiss even have an old folk song dedicated to its beauty) this UNESCO World Heritage Site does not disappoint! 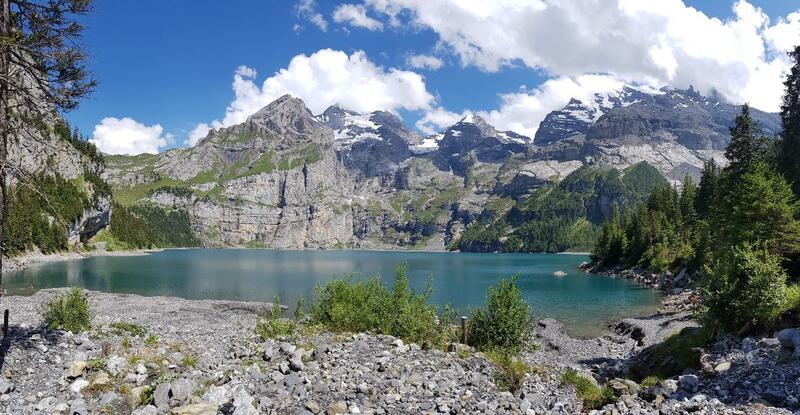 This beautiful Swiss Mountain Lake is probably one of the most underrated destinations due to its close proximity to more popular Swiss attractions, namely Interlaken and Jungfrau Aletsch (other UNESCO World Heritage Sites). However, if you’re a nature lover, a hiker or simply someone who enjoys swimming, a daytrip to Lake Oeschinen is well worth your while. The lake is fed by the fresh Alpine rivulets stemming from the three-thousand-meter peaks of Blüemlisalp, Oeschinenhorn, Fründenhorn and Doldenhorn. The price for the cable car ride in summer is 20CHF for adults (single ride) or 28 CHF (return ticket). For children the summer price is 10 CHF (single ride) or 14 CHF (return ticket). If you decide to visit Lake Oeschinen in the winter season the prices drop slightly with the price for adults dropping to 18 CHF (single ride)/26 CHF (return ticket) and children 9 CHF (single ride)/ 13 CHF (return ticket). Once you’ve arrived at the top cable car station you can choose between an electric bus journey to the lake (which comes at an additional cost) or a 20-minute hike. Of course, my suggestion to you is to save on cash and take the 20-minute hike since it certainly allows you the time to marvel at the majestic Swiss Alps. Besides, what’s more rewarding than seeing this beautifully blue lake reveal itself to you after a long hike? Inscribed in 1992, this UNESCO Heritage Site in South-Central Czech Republic is a real gem. The stunning historic market place is a masterpiece of Renaissance architecture. Pastel colored Bürgerhouses surround the huge market place, awing you with their intricately decorated facades. 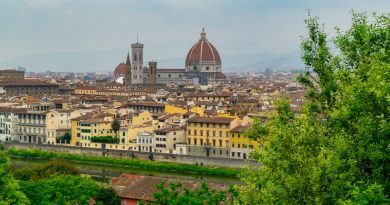 After a fire destroyed the town, the local Duke had the houses rebuild in style of Italian Renaissance, which he fell in love with during his travels through Italy. Founded in the 1330s, this medieval town not only has the beautiful market place to explore, but also a gorgeous castle and its surrounding grounds. I was lucky to visit Telč in the Fall and explored the castle gardens just after sunrise on a foggy morning. The mist and fog rising from the meadows on this crisp fall morning gave the medieval castle a mystic atmosphere and I had the place completely for myself. Another highlight of Telč are its underground tunnels. You can book a guided tour and explore the hidden passenges beneath the town. Don’t do it if you are claustrophobic or if you are really tall though, as the pathways can be quite narrow and are more like a crawlspace rather than a walkway. 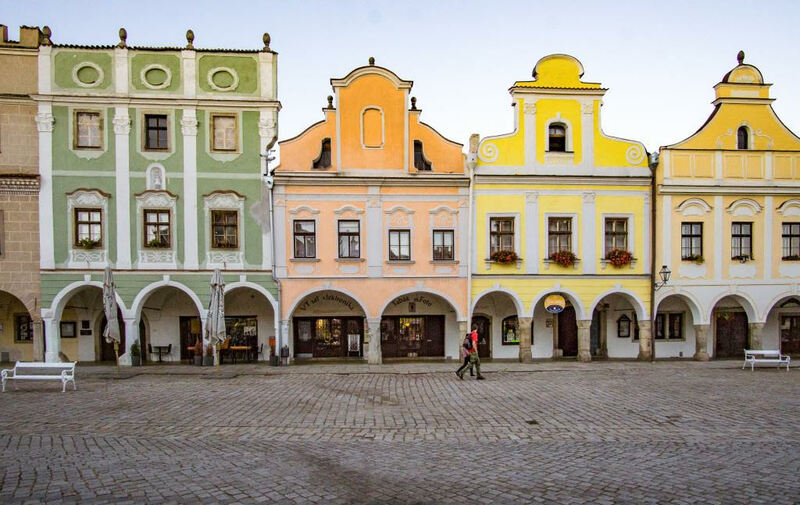 If you plan a visit to Telč, I recommend renting a car and also visiting the two other UNESCO Heritage Sites in the area: Jewish Quarter and St Procopius’ Basilica in Třebíč and Pilgrimage Church of St John of Nepomuk at Zelená Hora. Located just above Vallcarca, a middle-upper-class neighborhood in the north of Barcelona, Parc Güell is a set of gardens and architectonical elements that define the real Modernism that Barcelona is famous for. A UNESCO World Heritage site since 1984, Parc Güell is a major touristic attraction in Barcelona, attracting thousands of tourists each an every week, to the extent that the mayor of Barcelona had to take special measures to reduce the number of visitors, like charging an entrance fee since only a few years ago. Parc Güell is an architectonic masterpiece designed by Antoni Gaudí and requested by Eusebi Güell, a very well-known Catalan businessman from Barcelona who had a very strong friendship with Gaudí, so he asked him to build this park on a piece of land who he had just recently acquired. The park took almost 14 years to finish, from 1900 to 1914 but it was opened to the public in 1926. 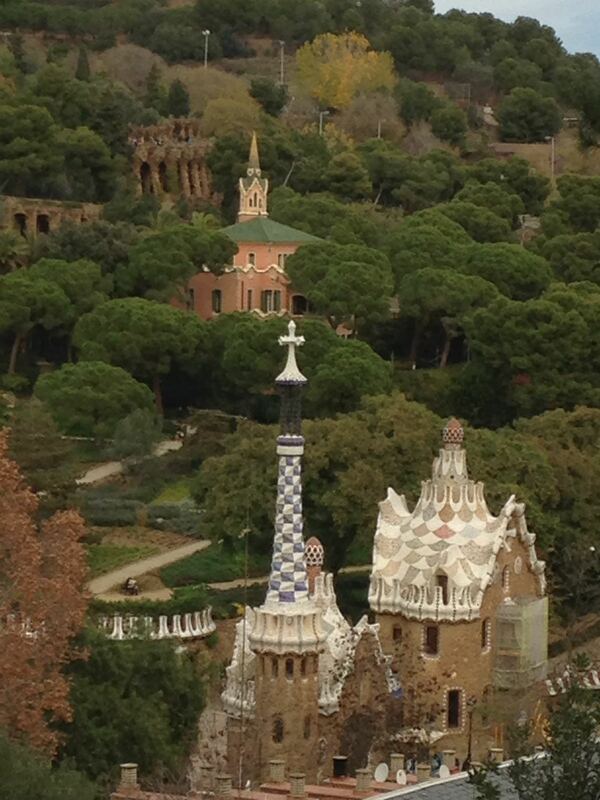 The park is not only a place to get a glimpse of the Catalan modernism but also, since it is located at the top of Mount Carmel, you can get a really nice view of the Barcelona skyline. Getting there is very easy, as you just need to take the Green Metro Line to Vallcarca and walk for around 10 minutes until you find the escalator that takes you to the top. We all know if we go to Poland, Krakow should not be missed out. Within Krakow metropolitan region is the Wieliczka Salt Mine, often referred to as “the Underground Salt Cathedral of Poland”, should also be not left. It is in the UNESCO’s World Cultural and Natural Heritage List and in Poland’s official national Historic Monuments. The mine has an underground lake, four chapels carved out of rock salt and exhibits on the history of salt mining. It also has a 3.5 kilometres touring route which is less than 2% of the mine’s passages’ total length. The route includes historic statues and mythical figures carved out of rock salt in distant past. In recent times, the contemporary artists have also contributed some salt sculptures. Opened in the 13th century, this mine produced table salt continuously until 2007, thus becoming one of the world’s oldest salt mines in operation. Commercial mining was discontinued in 1996. The rock salt here is naturally grey in various shades, resembling unpolished granite rather than the white or crystalline look that many visitors may expect. The walls of a chamber are carved by miners to resemble wood, as in wooden churches built in early centuries. The picturesque underground spaces of the Wieliczka Salt Mine provide a perfect setting for special events such as concerts, recitals, theatre or opera performances, exhibitions, fashion shows, sports events and even weddings. The chambers can accommodate from several dozens to several hundred guests. Sound and lighting equipment, as well as culinary pleasures are ensured by excellent staff who make sure you get the best. It has a combination of tradition and modernity and history of several hundred years. And wait! How about a balloon flight in the mine undergrounds? It sounds like a fairy tale but it’s true. You can stop at the tallest chamber along the tourist route to see this balloon flight. And so, the Wieliczka salt mine has permanently entered the Guinness Book of Records. While for going down the mine you use wooden staircase, an elevator takes you back to the surface. Tip: People typically spend up to 3.5 hours here. 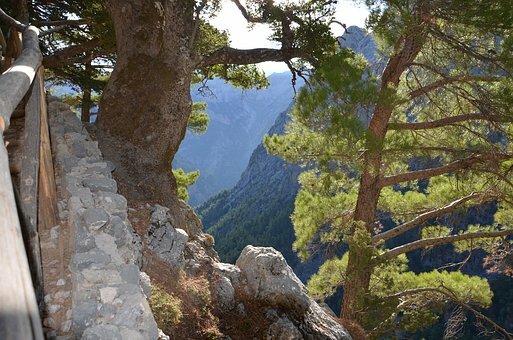 The Samaria Gorge has been recognized as an Unesco World Heritage Site because of its specific natural and geological characteristics. More than 200 bird species, 32 mammals and many plants specific to the Cretan flora can be found in this area. But above all it is probably the dramatic landscape of this 16-kilometer-long gorge that draws the majority of the tourists. The most spectacular spot is a passage called “The Gates” where the gorge is as narrow as four meters and the walls on both sides tower 300 meters above the hikers. The gorge can be visited from May 1 to October 15. As it’s a strenuous 16-kilometer-long hike it’s advised to plan your visit early or late in the season to avoid the crushing heat. The typical hike starts inland near Omalus and takes you down the gorge towards Agia Roumeli at the Lybian sea where boats will pick you up and take you to Hora Sfakion, Loutro, Sougia or Paleochora. 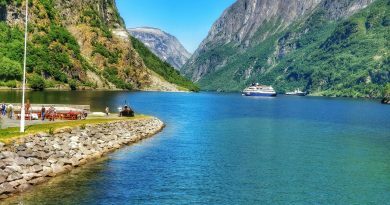 Although it is possible to arrange your own travel plans you could safe yourself a lot of hassle by booking one of the organized tours where they will drop you off at the start and pick you back up at the ferry. Although I would advise to hike the whole gorge you don’t need to do so to see the highlight. It’s possible to see “The Gates” with a short version, nicknamed “The Lazy hike”. This short version of the hike starts at Agia Roumeli from where you hike to “The Gates” and back. The city of Edinburgh, Scotland, is a living breathing UNESCO site – with both the organic medieval Old and planned Georgian New Town are designated as one World Heritage Site. The reason why – town planning! Oh, and that Edinburgh is one of the most beautiful cities in Europe. 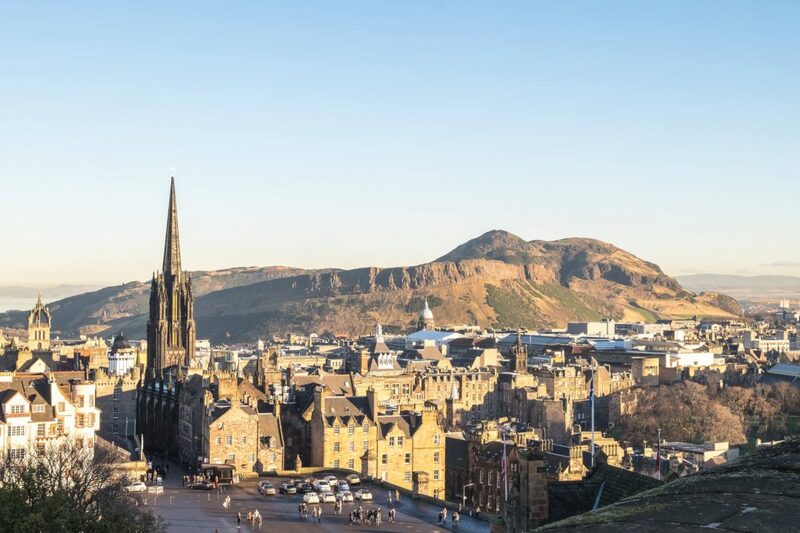 In the 16th-century Old Town visit Edinburgh’s incredible 15th Century castle, marvel at what were once the world’s tallest buildings on the Royal Mile, and go on a scary underground tour to discover the history of Edinburgh’s buried closes. The Old Town is full of narrow closes, which now hide trendy bars, restaurants and tiny gardens. From the Old Town cross Sir Walter Scott’s Waverley Valley to wander the wide 17th and 18th-century New Town streets, explore the grand crescents designed by some of Scotland’s most famous architects and discover tiny shops in boutique shopping streets. Head behind the grand facades to find the tiny mews cottages – some of the prettiest streets in Edinburgh are hidden away. Got a head for heights? Then climb the Scott Monument (Edinburgh’s Rocket!) for the best views of the World Heritage Site. There is no best time to visit Edinburgh for the city centre buzzes all year round – experience Hogmanay (New Year) as part of the 80,000 people strong street party and carry a torch as part of the torchlight procession under the castle or wander the city centre in great weather in springtime or visit for the mighty Edinburgh Festival which takes over every nook and cranny of the medieval buildings in the Old Town in August – fancy comedy in a cellar four floors beneath street level? You can in Edinburgh! Jerónimos Monastery (often called Hieronymites Monastery) is a former monastery of the Order of Saint Jerome that’s situated in Belém in Lisbon. Along with the nearby Tower of Belém, it has been a UNESCO World Heritage Site since 1983. Vasco da Gama actually spent his last night here before setting off on his voyage east, and it has long been associated with the Age of Discoveries. It is one of the most decorative churches in Portugal, and one of the top places to visit in Lisbon. Foodies visiting Lisbon will be interested to know that the pastel de nata was created inside Jerónimos Monastery by French monks. As the story goes, the convent was using large quantities of egg-whites for starching the nuns’ habits and so there were a lot of egg yolks needing to be used. Following the Liberal Revolution of 1820, the monks began selling these pastéis de nata to bring in much needed revenue. The monastery eventually closed, and the recipe was sold to the nearby sugar refinery whose owners opened Fábrica de Pastéis de Belém in 1837. Fábrica de Pastéis de Belém still operates today and is one of the top places to get a pastel de nata in Lisbon. 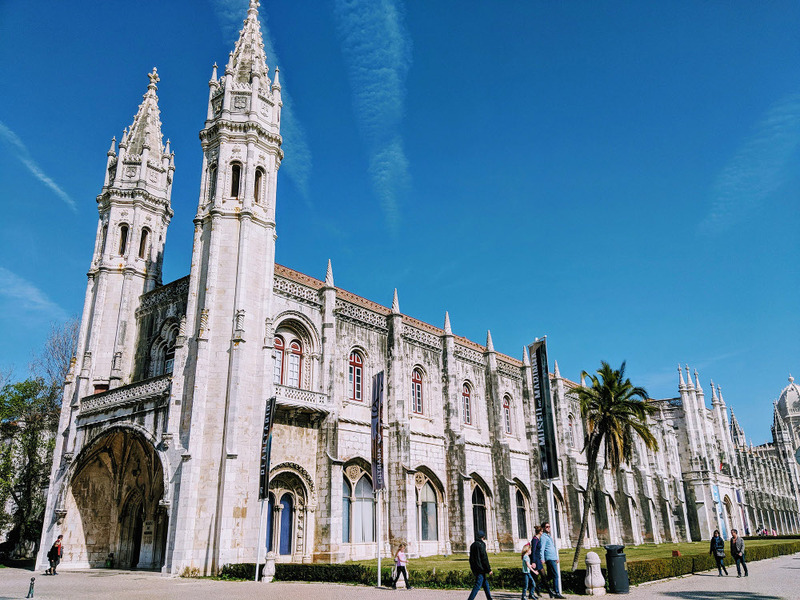 It’s located just 230 metres from Jerónimos Monastery and, considering its connection to the monastery, it’s worth visiting both while you’re in the Belém neighbourhood. Getting to Jerónimos Monastery is easy. Either take the Tram 15, which stops at Praça da Figueira and Praça do Comércio, or take an Uber. Both are very affordable: a tram ticket costs just €1.45 while an Uber will cost between €6 and €9. It’s best to get there as early as possible, as there are now long queues particularly during the summer months. Tickets cost €10. After almost 3,000 years from its inception, Rome historic centre is one of Italy’s and Europe’s top UNESCO sites, and by all means one of the first and most important places to visit in the city. First capital of the Roman Republic and then of the mighty Roman Empire, the historic centre includes sites like the Colosseum, the Pantheon, Castel Sant’Angelo (Hadrian Mausoleum) and the Roman and Imperial Forums, heart of the public life in the ancient capital where senators and emperors made their public speeches, trades, commerce, markets and court trials took place. As capital of the Christendom since the 4th century, part of the UNESCO-listed site are also the Vatican City and the buildings and churches of papal Rome such as San Giovanni in Laterano, Santa Maria Maggiore, San Paolo Fuori Le Mura, Santa Prassede, as well as the palaces and squares built during the Renaissance, Baroque and Neoclassical periods such as Piazza Navona, Piazza del Popolo, Piazza di Spagna (Spanish Steps and Trinità dei Monti), Palazzo Farnese and Palazzo del Quirinale. The artwork and architecture masterpieces created in the span of thousands of years and different historical periods is what makes Rome so fascinating and always a place for new discoveries. The urban expansion and planning in the span of thousands of years brought about several layers of history, art and architecture that now we can explore, and this is why today we can visit the wonders of the city on both the modern-day street level and beneath the surface. 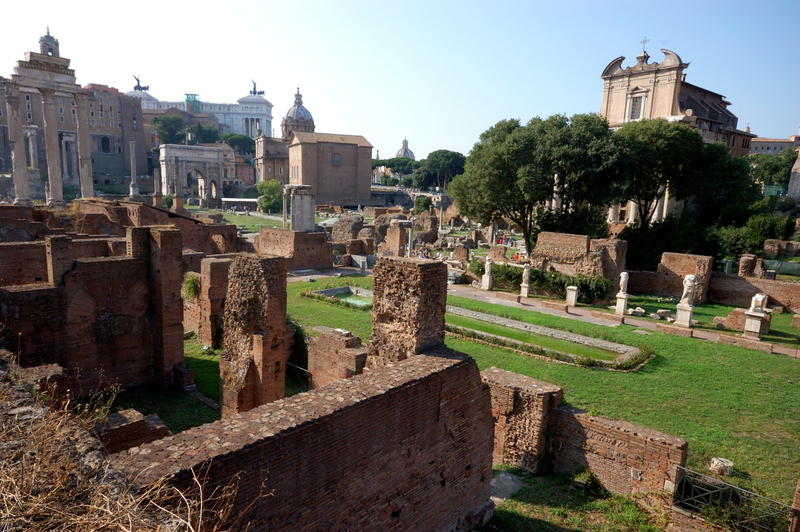 Thanks to its mild climate, every time is a good time to visit Rome. If you are free to book your trip any time, I would probably avoid July and August as the city is truly packed with tourists and also very hot, so sightseeing all day is not very pleasant. Spring and Fall are great seasons, but also Winter is a lovely time especially during Christmas. The Jurassic Coast is the UK’s first natural World Heritage Site. It extends for 95 miles along the south-west coast of England, through the counties of Dorset and the eastern part of Devon. As well as being an Area of Outstanding Natural Beauty, the Jurassic Coast is a geologist’s playground. The rocks were laid down in the time of the dinosaurs and many incredible fossil skeletons have been discovered here. If you look carefully you’ll find fossils on the beaches – Charmouth is a good beach to try your luck. During your visit you can explore the beaches and cliffs of the Jurassic Coast. Make sure you visit the dramatic sandstone cliffs at West Bay and walk along the famous Chesil Beach. Get a taste of the British seaside at some of the charming towns along your way – Sidmouth, Abbotsbury and Lyme Regis are especially picturesque. Personally, my favourite part of the Jurassic Coast is the walk between Lulworth Cove and Durdle Door in Dorset. It’s not too long a walk and you can get a great look at all sorts of geographical features along the way, as well as breathtaking views out to sea. 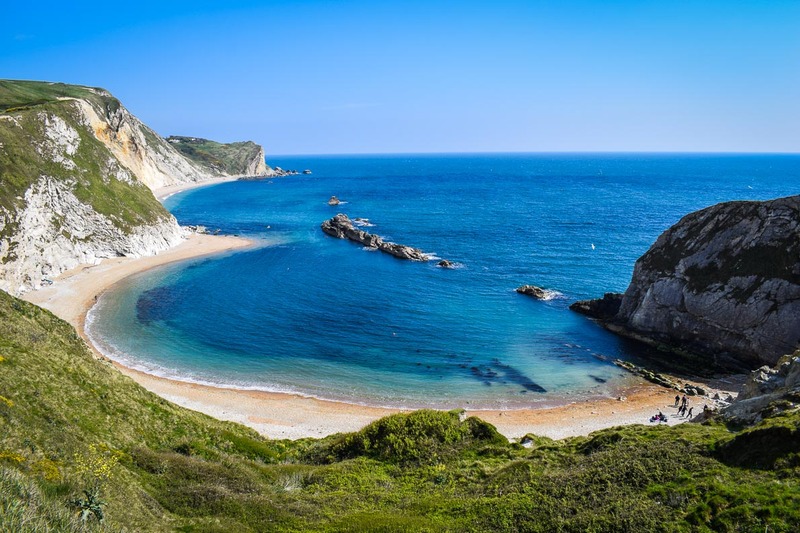 Highlights include the bays at Lulworth Cove and Man O’War, and Durdle Door – the famous archway at the end of a pebble beach. The whole area is ideal for walkers. Most parts of the coastline are reasonably easy but there are several steep stretches and bringing sturdy walking boots is a good idea. The best way to reach the Jurassic Coast is by car. However if you don’t drive you can take trains from London Waterloo to Dorchester, Wareham and Poole in Dorset or Exeter in Devon. Once you’re there you can get along the Jurassic Coast by using the Jurassic Coaster bus services (more information here). I’ve always been convinced that Bologna is one of Italy’s most creative cities – so it comes as no surprise that it’s included in the Creative Cities UNESCO list for its contributions to music. There are lots of music festivals throughout the year, offering locals and visitors the opportunity to enjoy all kinds of music, from jazz to classical via contemporary and world music. On top of that you can also choose between several theatres, auditoriums, and concert halls spread throughout the city – however, the best way to enjoy music in Bologna is just wandering around the city centre, where you’ll often find creative buskers and impromptu concerts taking place, especially around the University area. Bologna is also famous for its 42 kilometers of porticoes, the longest in the world, which are in the UNESCO tentative list and may very well soon become another World Heritage Site. 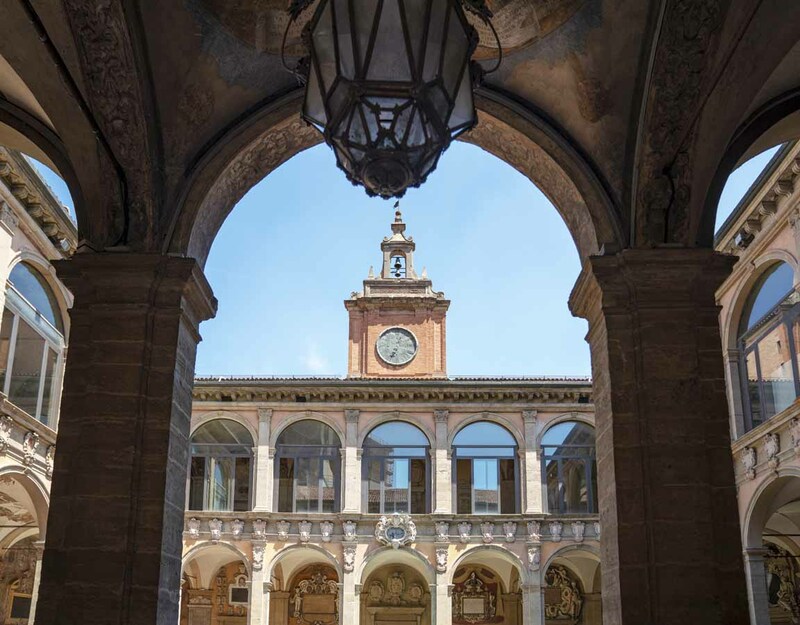 The best way to enjoy Bologna’s porticoes is walking from Porta Saragozza to San Luca, Bologna’s most famous sanctuary, a stunning walk entirely under porticoes, until a hilltop where you can get a wonderful view over the hills surrounding the city. Albania may not be on everyone’s travel list but it should be. 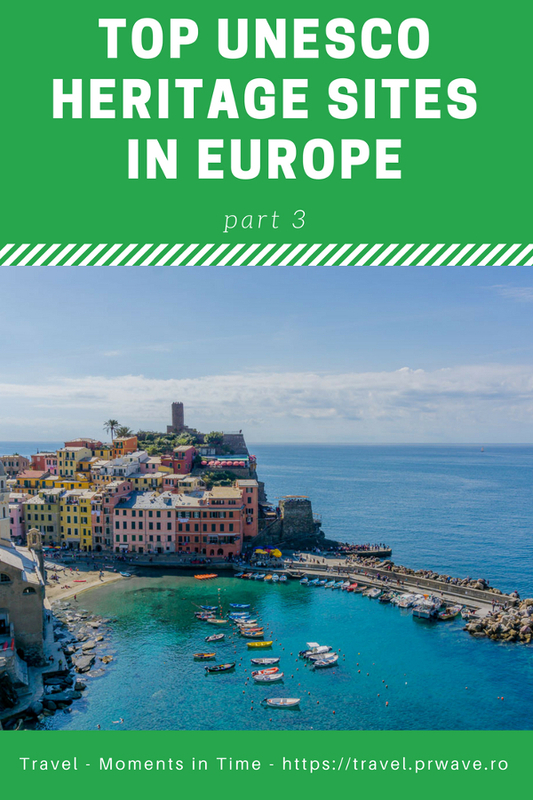 As one of the most affordable countries in Europe and among the least visited, it is a fabulous destination offering mountains, beaches, and culture. Not to mention one of the coolest UNESCO heritage sites I’ve visited, Butrint. 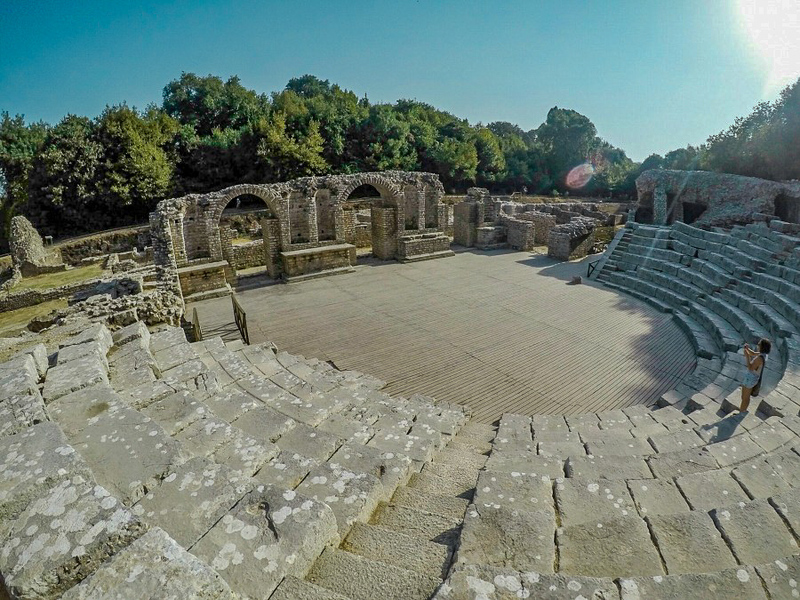 The Butrint ruins have been around since prehistoric times. It was the site of a Greek colony, then a Roman city. It was then under the Byzantine administration and eventually occupied by the Venetians. There is no major development surrounding Butrint which adds to the value of this heritage site. It is a microcosm of Mediterranean history with occupation dating from 50,000 BC with multiple empires leaving their mark. 45 minutes. The cost of admission is 700 lek ($6 USD) for non-Albanians. Albania is a summer destination, therefore, expect more visitors during this time as well as higher temperatures. I think spring and fall are ideal times for comfortable temperatures and minimal crowds. I visited in early September and the weather was perfect. Warm enough for shorts and tank tops but not sweltering. I was astonished at how few tourists were here and I felt like I had it all to myself at times. The ruins are incredibly well preserved and extensive. You really get the feel of what the old city was like as you walk between the different structures. The shaded woodsy landscape adds to the beautiful relaxed feel of the place. I enjoyed visiting these ruins more than any of the more well-known ones in Athens or Rome. The medieval monuments in Kosovo consist of four Serbian orthodox churches and monasteries that were built in the 13th and 14th century. It includes the patriarchate of Pec, the Decani monastery, the Gracanica monastery and the church of the lady Ljevis. 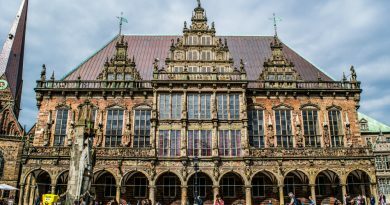 The outward appearances of these buildings will not leave you impressed, but go inside and the outstanding frescoes will take your breath away. 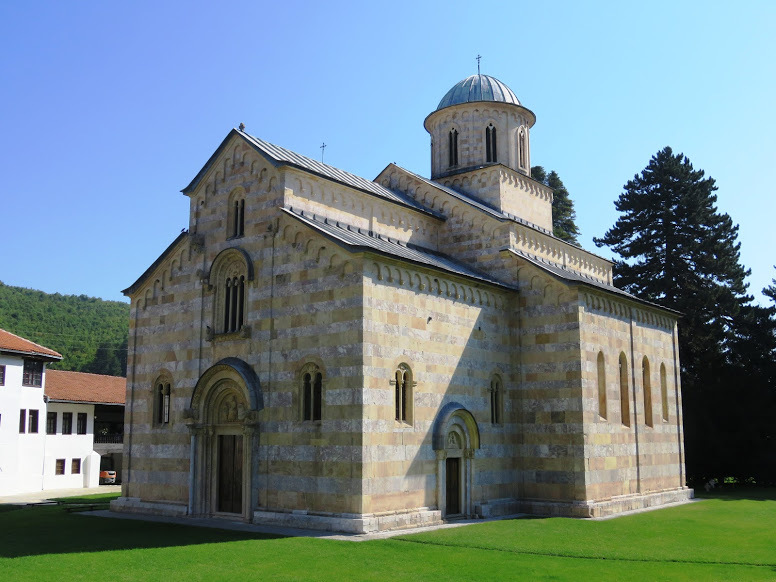 The medieval monuments make a trip to Kosovo worthwhile and a visit to all four monuments will bring you to the pleasant towns of Pec for the Decani monastery and patriarchate of Pec, Prizren for the church of the lady Ljevis and Prishtina for the Gracanica monastery. The best time to visit Kosovo is from April till October. However, even in the cold winter it is possible to see the medieval monuments and the snow may only add to its beauty. Unfortunately the monuments are not without controversy and UNESCO has put them on the list of World heritage in danger. Inter-ethnic violence between Kosovars and Serbs keeps threatening their existence. The church of the lady Ljevis in the centre of Prizren was heavily damaged by arson in 2004 and remains closed for now. The patriarchate of Pec and the monasteries of Decani and Gracanica are open for visitors, but are guarded by UN KFOR soldiers. Don’t let this stop you from visiting Kosovo though. For visitors Kosovo is safe and welcoming. To visit the monasteries and the patriarchate of Pec all you need is your passport and then you are free to enter. The irony is that once you are inside the places are so serene and peaceful that it’s hard to believe the complicated history they are part of. If you’re visiting the Naples area of Italy, you’ll rightly hear that Pompeii is well worth a visit – but you should also definitely check out its fellow UNESCO site of Herculaneum! The town was destroyed in 79AD by the same volcanic eruption which devastated Pompeii, but due to it not being directly in the path of the falling debris which was shot out from the exploding mountain, it remained better preserved. You’ll be amazed at some of the items which have survived, and are still on display – wooden furniture, beds, some incredibly intricate and colourful mosaics. Statues still stand proudly, and marble friezes are in stunningly good condition, as are whole houses. You really won’t get many better opportunities to step into a Roman house, and feel like the owner could walk into the courtyard at any moment! But you’ll also be saddened by the preservation down by the town’s old harbour: the skeletal remains of the town’s citizens who didn’t evacuate in time. Seeing the skeletons huddled together, where they died hoping they could escape from the pyroclastic blast which killed them instantly, is certainly a sobering experience. The town is nearer to Naples than Pompeii, and smaller than its more-famous neighbour – this isn’t a bad thing, however, as it certainly makes it much easier to take in the entire site within a day! Just hop on the Sorrento-bound Circumvesuviana train at Naples’ Centrale station and you’ll be there within fifteen minutes. Alight at Ercolano Scavi station, and head south down the main road; you’ll see the large arched entrance to the site. The site is open every day of the year except Christmas Day and New Year’s Day – tickets cost €11 for adults, but is completely free on the first Sunday of every month. Be prepared for the crowds to be a little larger on the free days, though! 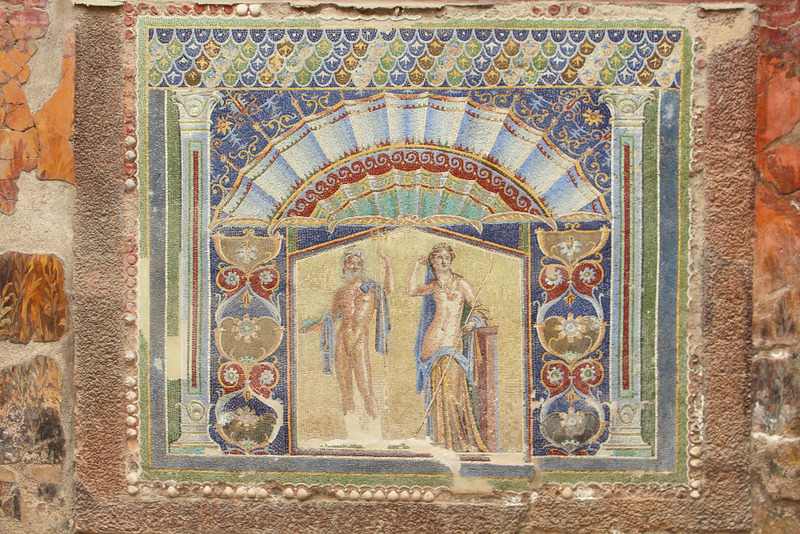 As with the rest of the Naples area, I really recommend May and September as ideal times to visit; the weather is sunny without being too hot, which is a definite issue for Herculaneum. There’s not much shade, so you’ll need a hat, sunscreen and plenty of water to avoid being too fatigued. However, my absolute top tip for Herculaneum is to wear comfortable, flat shoes – the Roman cobblestones on the streets are most unforgiving on high heels! Seville Cathedral (officially named Catedral de Santa María de la Sede) is a 16th century gothic cathedral. It is located in Seville, the capital of Andalucia. What makes the cathedral so special, you ask? Well, for one thing, it’s the largest gothic cathedral and the third largest church in the world. It’s an iconic site indeed! The remains of Christopher Colombus inside the church is also a main attraction for tourists. Even its bell tower, La Giralda, is a UNESCO World Heritage site and is flocked by tourists all year. In fact, La Giralda was the tallest building in Seville for centuries, standing at 342 feet. The entrance to both the church and the tower cost 9 EUR and comes with a guided tour of 50 people. The fee also comes with a visit to Patio de los Naranjos and El Salvador Church which is located 600 meters from Seville Cathedral. Great news for budget travelers: Monday afternoon tours, from 4:30 to 6:30 PM, are free! Seville Cathedral is open daily to the public from 11 AM, except on Sundays when the church opens at 2:30 PM. Make sure to get in line before 5 PM on Tuesdays to Saturdays and before 6 PM on Sundays and Mondays as the site closes its gates at those hours. There’s a story about Seville Cathedral that tells of how the church elders said, “Hagamos una iglesia tan hermosa y tan grandiosa que los que la vieren labrada nos tengan por locos.” In English, it means “Let us build a church so beautiful and so magnificent that those who see it finished will think we are mad.” Well, it’s safe to say that they have achieved this goal as the cathedral continues to attract visitors from all over the world centuries later. 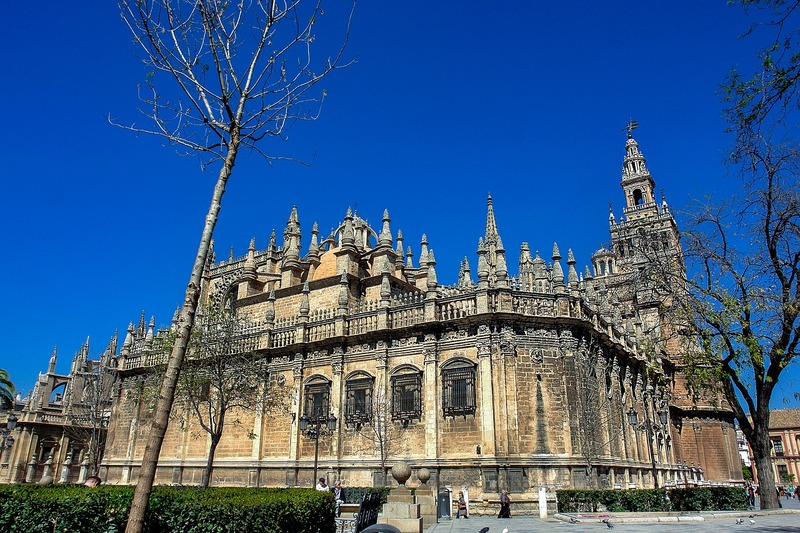 Seville Cathedral is truly a UNESCO World Heritage site unlike any other. 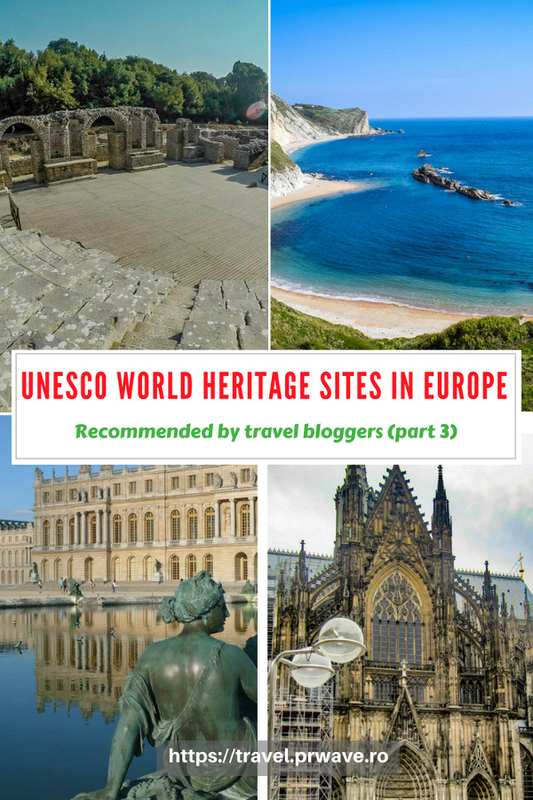 This is part three of the series dedicated to UNESCO sites in Europe. 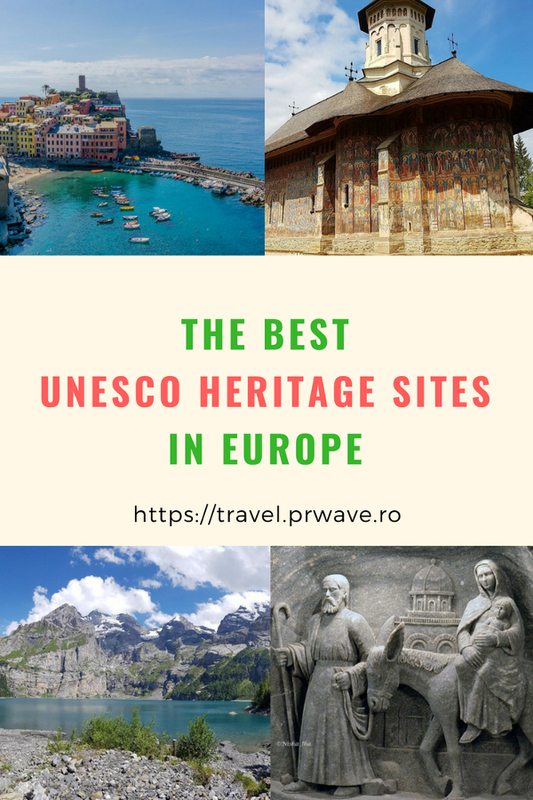 There will be 2 more articles in the series – all presenting you enchanging UNESCO World Heritage Sites in Europe to add to your Europe bucket list.